YOU WON'T BELIEVE THIS, 7 HUMAN ORGANS WE STILL LIVES EVEN WITHOUT! This organ sits on the left side of the abdomen, towards the back under the ribs. It is most commonly removed as a result of injury. Because it sits close the ribs, it is vulnerable to abdominal trauma. It is enclosed by a tissue paper-like capsule, which easily tears, allowing blood to leak from the damaged spleen. If not diagnosed and treated, it will result in death. 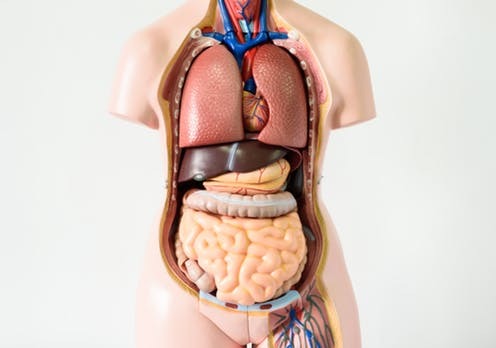 The stomach performs four main functions: mechanical digestion by contracting to smash up food, chemical digestion by releasing acid to help chemically break up food, and then abs orption and secretion. The stomach is sometimes surgically removed as a result of cancer or trauma. The primary reproductive organs in the male and female are the testes and ovaries, respectively. These structures are paired and people can still have children with only one functioning. The colon (or large intestine) is a tube that is about six-feet in length and has four named parts: ascending, transverse, descending and sigmoid. The primary functions are to resorb water and prepare faeces by compacting it together. The presence of cancer or other diseases can result in the need to remove some or all of the colon. The gallbladder sits under the liver on the upper-right side of the abdomen, just under the ribs. It stores something called bile. Bile is constantly produced by the liver to help break down fats, but when not needed in digestion, it is stored in the gallbladder. The appendix is a small blind-ended worm-like structure at the junction of the large and the small bowel. Initially thought to be vestigial, it is now believed to be involved in being a “safe-house” for the good bacteria of the bowel, enabling them to repopulate when needed. Most people have two kidneys, but you can survive with just one – or even none (with the aid of dialysis). The role of the kidneys is to filter the blood to maintain water and electrolyte balance, as well as the acid-base balance. It does this by acting like a sieve, using a variety of processes to hold onto the useful things, such as proteins, cells and nutrients that the body needs. More importantly, it gets rid of many things we don’t need, letting them pass through the sieve to leave the kidneys as urine.